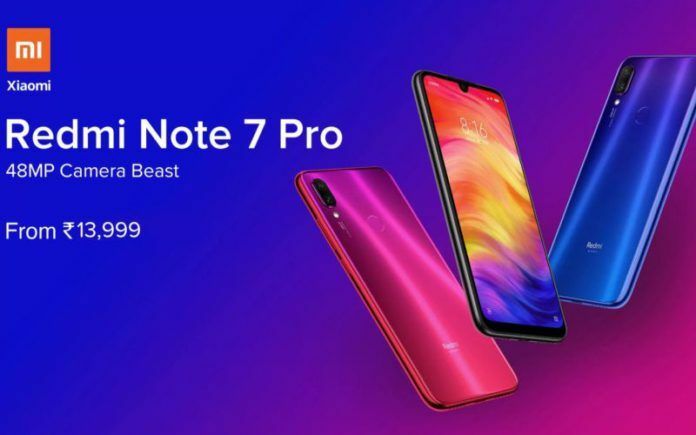 The Redmi Note 7 Pro is finally going on sale for the first time in India. After quite a successful first sale, the Redmi Note 7 is also up for grabs for a second time. The sale of both these Xiaomi handsets will commence from 12 noon today over at Flipkart and Mi.com. Read on to know more about the pricing and offers for these phones. The Redmi Note 7 is priced at INR 9,999 for its 3GB RAM + 32GB storage option. Meanwhile, its 4GB RAM + 64GB storage model costs INR 11,999. The Redmi Note 7 Pro’s price starts off at INR 13,999 for its 4GB RAM + 64GB storage model. As for its 6GB RAM + 128GB storage configuration, you will have to pay INR 16,999. As far as the launch offers are concerned, a 5 percent discount (up to INR 200) can be availed if purchasing the phones from Flipkart with the use of an Axis Bank Buzz Credit Card. Various EMI options can also be availed via all major banks. It is worth pointing out that the Note 7 Pro is only available on pre-paid transactions right now. Over on Mi.com, Airtel will be awarding buyers with up to 1120 GB of 4G data along with unlimited calling. 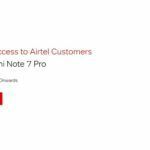 The offer is valid for both new and existing pre-paid Airtel customers on recharge packs of INR 249 and INR 349, where both plans will offer double their standard daily data limits. Furthermore, Xiaomi is also offering its Mi Protect plans for these phones. For INR 799 extra for the Note 7, and INR 999 extra for the Note 7 Pro, users will get a one-year accidental and liquid damage protection with added benefits such as doorstep pick-up/delivery. 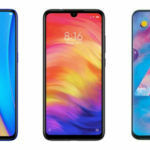 Both the Redmi Note 7 and Redmi Note 7 Pro come with 6.3-inch Full HD+ LCD screens with waterdrop notches at the top. A layer of Gorilla Glass 5 protects the front and back of both phones. Both the phones even come with 4000mAh batteries that charge over USB Type-C and support Quick Charge 4. As for software, these handsets run Android 9.0 Pie with MIUI 10 adorned over it. The primary difference between the two is with their chipsets. The Note 7 comes powered by a Snapdragon 660, while the Note 7 Pro uses a Snapdragon 675. Imaging is another differentiating factor where the more affordable handset offers a 12MP +2MP rear setup, while its pricier sibling comes with a 48MP + 5MP configuration. However, both phones provide 13MP selfie shooters. 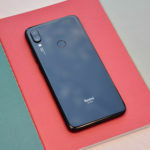 I want to buy the Redmi Note 7 Pro offline? When will it be available in the market? I am from Nepal and I need the Redmi Note 7 Pro in Nepal. What is the current price?